Photoshop is an easy tool to use. But to become a master in it is difficult. 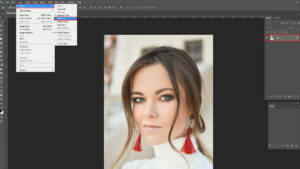 Maybe you are looking for photoshop tips and tricks by which you can edit your images on Photoshop Easily and Beautifully. Maybe you are looking for some more tips about Layer, suggestions about Pen tool, an idea about Camera Raw, uses of Brush etc. You will get a clear idea about the things you are looking for. These tips will be effective. 1. 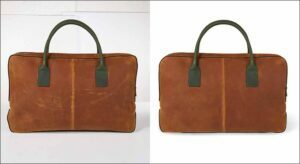 Quick Selection: Quick selection tool works very fast in removing background of an image or photo. 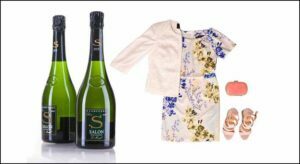 After selecting Quick selection tool if we click on image object an Object will be selected and background color can be used as per requirement. 2. Undo, undo and undo: You know that returning Cmd/ Ctrtl + Z in previous position is (Undo). (Undo) can be done just once through Cmd/ Ctrtl + Z. But you don’t know through Cmd/Ctrtl + Alt + Z you can get back more than one history in previous position. 3. Redo and repeat: You know about Undo but you don’t know about Redo or repeat. We can do more than one Redo or repeat through Cmd/ Ctrtl + Shift + Z. 4. Close all images: To close all documents of Photoshop at once Click Cmd/ Ctrl + Alt + W in (Default Settings) or Press Shift and click on Close icon of any image window. 5. 1000 history States: To change maximum 1000 history from menu bar click on Edit> Preferences> Performance or press Cmd/ Ctrl + K and go to performance than from here History States. 6. Zoom with scroll wheel: To Zoom in – Zoom Out with Scroll wheel click on Edit> Preferences> Tools from menu bar or press Cmd/ Ctrl + K for Tools from there Zoom with scroll wheel checked. 7. New Document transparent: Every time we take a new document we get a white background by default. To make the new document transparent click on File> New> Background Contents from menu bar or press Cmd/ Ctrl + N for Background Contents. Select transparent from Drop-down. 8. Art board Make: A new tool of Photoshop is Art board Tool. If you click on Moov Tool then you will see Art board Tool. This Tool will be available in Photoshop CC 2017 or Photoshop CC 2018.By selecting this Tool and drag on any document you can create Art board as you want to. To create more than one Art board click on + (Plus) from one Art board. 9 Contact Shell: If we want to organize many images with name in one document then click on File> Automate> Contact Shell.Go to Files from Use- dropdown then go to Folder by clicking on Browse and press Cmd/Ctrl + A select all image then Ok. You can set Height- weight, Column and Raw of Document Page. 10. Photoshop Keyboard Shortcut: Photoshop Keyboard Shortcut is very important for work. If you know keyboard Shortcuts you can do your work smartly and time will not be wasted. 11. Create Custom Brush Preset: In Photoshop there are a lot of brush in default. Most of the times a lot of Brushes are needed for work. But all brushes cannot be found in Photoshop. For this to facilitate work we will create Brush.The document which is opened in Photoshop by clicking Edit > Define Brush Preset a Custom Brush Preset will create. 12. Index image convert and jpeg save: Most of the time in many images we see index is given rather than background. Index cannot be Layer Duplicated in color profile image or cannot be changed with any other Layer even cannot be saved in JPEG format. To make Index Color Profile image editable select Image> Mood> RGB Color. 13. JPEG File open with Camera Raw: We know that JPEG File Format cannot be opened in Camera Raw Filter. But through Settings it can be open. 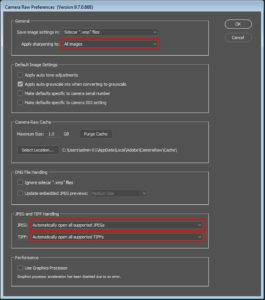 To open JPEG File Format directly in Camera Raw Filter go to Edit> Preferences> Camera Raw then from Apply sharpening to select All Images. Select JPEG from down below JPEG and Tiff Handling: Automatically open all supported JPEGs and TIFF: select Automatically open all supported TIFFs. Only then while open JPEG File it will open in Camera Raw. 14. 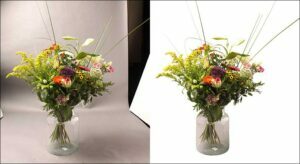 Shape Path to Clipping Path: Shape path is vector path. To convert Shape path into Clipping path click on Window> path. 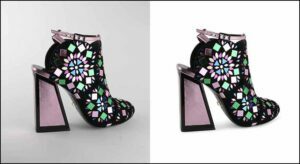 From Layer if we want to do Clipping path in Shape path layer then by keeping that selected from Path double click on shape path and click Ok then it will be converted in to clipping path. 15. Text From Convert to Shape Path: In Photoshop to convert any Text in to Shape path through Text Tool keep the mouse on Text Layer click on the right button of the mouse then Convert To Shape. Then the Text will be converted to Shape. 16. 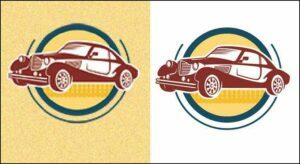 Smart Object Layer to Rasterize: To Rasterize the Layer of Smart Object from menu bar click on Layer> Rasterize> Smart Object. 17. 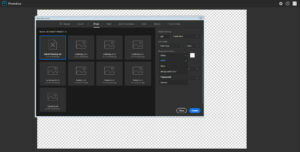 Quickly opacity change: For different types of work we need to adjust the Tool Opacity and Layer Opacity. To adjust Layer or Tool Opacity we have to click the mouse repeatedly. To change the Opacity very quickly we can use 0-9 digits. 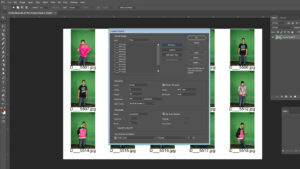 Press 5 to use 50% opacity, quickly press 5 two times to use 55% opacity and press 2,3 quickly to use 23% opacity. 18. Layer Black Mask: We can Mask any Layer just by one click. Usually to do Layer Mask we click on Layer Mask icon. This Layer Mask is a White Layer Mask. From this same Layer Mask if we press and click Alt then it will be Black Layer mask. It can be done in another way. After doing White Layer Mask Press Ctrl + I then it will be Black Layer Mask. 19. 50% grey layer create: A 50% Fill Gray Layer is needed to do many works. For example- to do dodge and burn, to add texture on skin and lots more. To create 50% grey layer we will take an empty layer and click on Edit> Fill> OK then set blend mood Overlay.